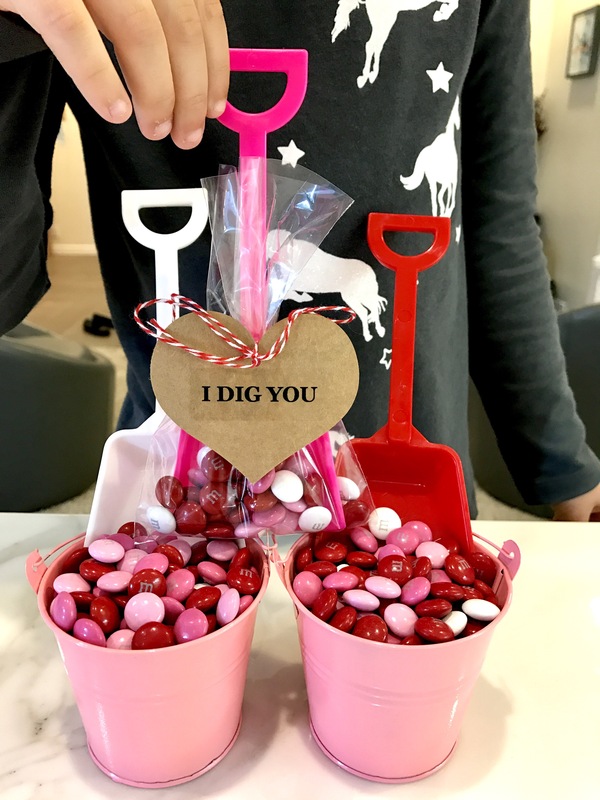 “I DIG YOU” Valentine: Place Valentine’s day m&m’s into small baggies and include a small shovel, click here to purchase. Tie the bags with some festive thread, click here to purchase, and a heart shaped tag. 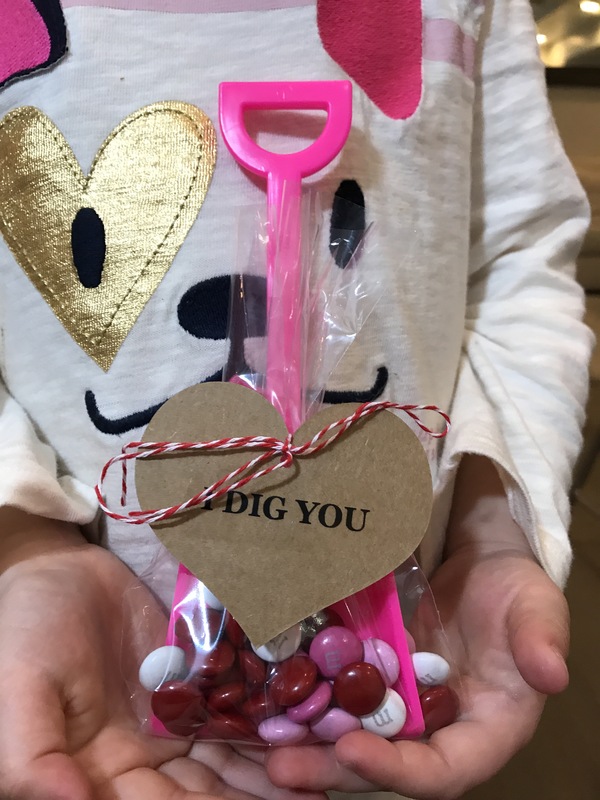 The shovels come with a clear label that reads, ‘I dig you’. You can alternatively just write it on yourself or have your kiddos do it. We are so excited to share these cute Valentine’s with our friends! 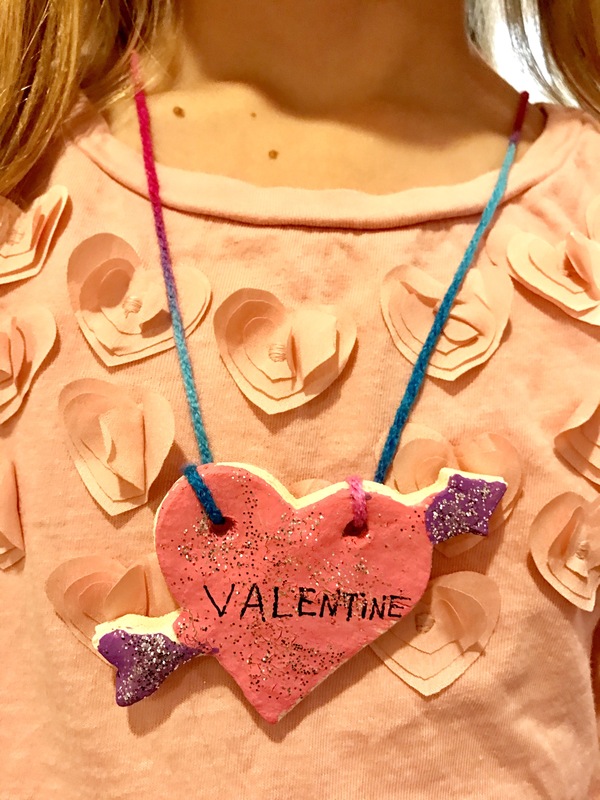 Heart Salt Dough Necklaces: Use our salt dough recipe from our recent blog post, found here, use a heart shaped cookie cutter, paint and yarn to create these gorgeous necklaces. 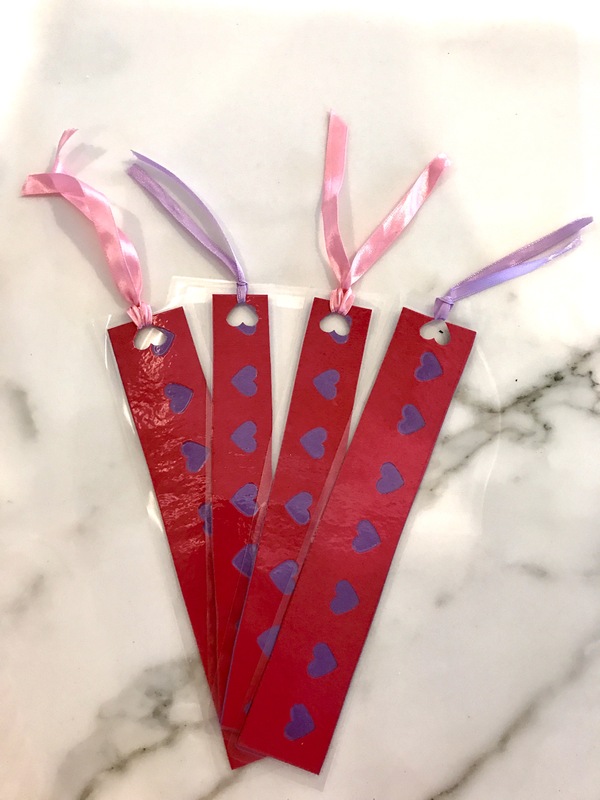 Homemade Valentine Bookmarks: These bookmarks are great to pass out to your friends and/or teachers for Valentines day. Use a heart shaped hole puncher, click here to purchase, to punch holes in one color paper (we used pink here). Then glue another color paper onto the back (we used purple here). You can leave it as is or use a very affordable and addictive laminator, click here to purchase, to seal and protect your bookmarks (and if you are anything like me you will find a reason to laminate just about anything!!). Finish it off with a hole punched on top and a ribbon threaded through it. You could also add a tassel or just leave the bookmark plain. Please send me one of those valentines with the M & M’s? Yum! Yum!